Joining Dannie and Lola on the Self Made Babe Podcast 009 is Nicolina McHugh, bosslady and brand designer behind Nicolina McHugh. She helps small and online business owners to develop, nurture and strategically use their brands at Nicolina McHugh. 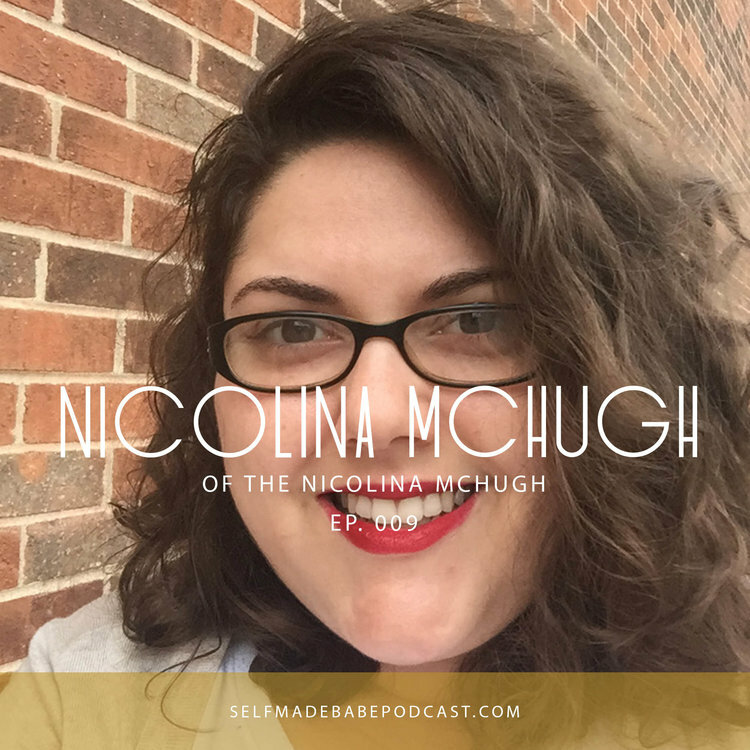 Nicolina McHugh (the woman) is a boss lady and brand designer who helps small and online business owners to develop, nurture and strategically use their brands at Nicolina McHugh (the business). In addition to believing that success is defined by the individual, Nicolina also believes with all her heart that nothing in business is mutually exclusive and has built a business around this belief. She also works full time in house designing and marketing, spends valuable time with her husband and fur baby, is a rabid Stephen King fan and laughs like a kid at Disney movies.